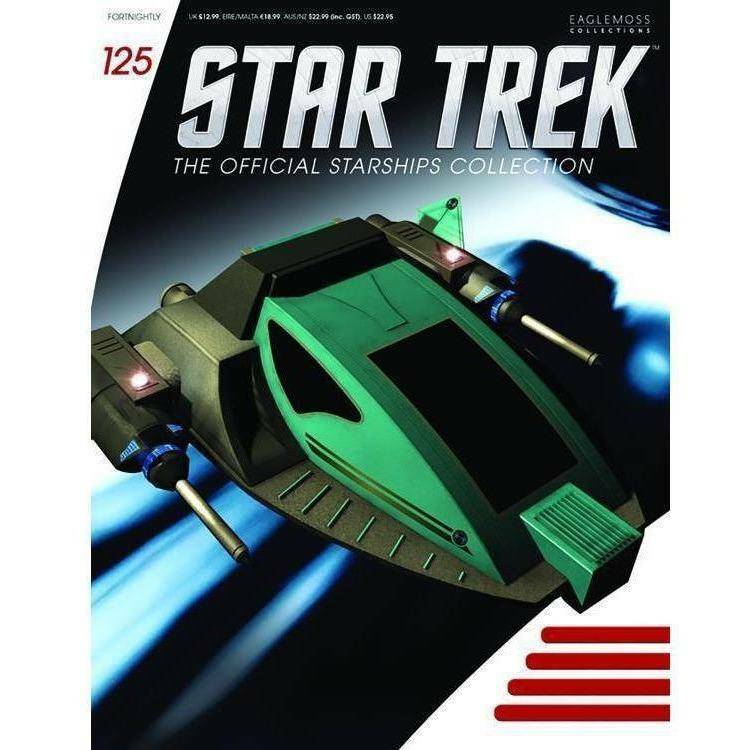 Star Trek: Official Starships Collection part 125 features the Alice shuttlecraft shipfrom Star Trek: Voyager. 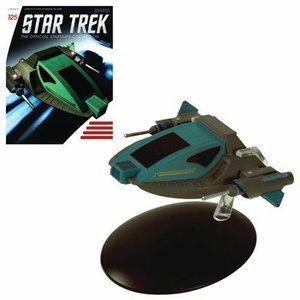 In early 2376, this small, unassuming spacecraft was acquired by Ensign Tom Paris from a space station called Abaddon’s Repository of Lost Treasures. The cost in trade was Paris’ jukebox and three of the U.S.S. Voyager NCC-74656’s used power cells. Paris named the ship ‘Alice’ after an attractive woman called Alice Battisti, whom he had known at Starfleet Academy. 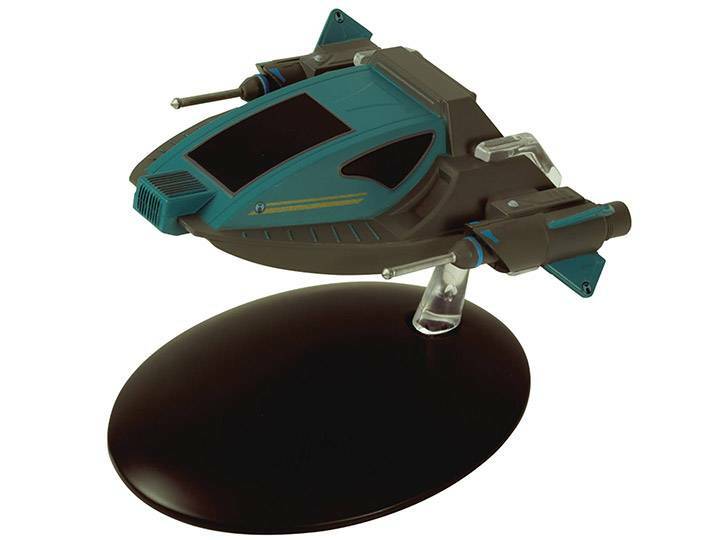 Alice appeared to be a reasonably unremarkable ship, but behind the conventional looks was some unique technology, which included a neurogenic interface. This allowed the ship to control the pilot, and even appears before him in a seductive humanoid form. This Alice model is models are cast in high-quality materials and carefully painted by hand to provide incredible detail and is individually numbered ship comes with a special collector’s stand so that you can display it the way you want.